When we interview and get to know potential job candidates, we rarely forget to assess knowledge, including confirming that the candidates have earned the relevant degrees or diplomas and have a solid familiarity with the area in which s/he will be employed. In many respects, these hard skills are fairly easy to evaluate. If you need to hire an engineer or a nurse, you demand that all job applicants have the appropriate credentials. That’s a good first step and a worthwhile shortcut but it’s not nearly enough. Of course, any worthwhile hiring process will probe all job applicants’ hard and soft skills, knowledge, and experience in the relevant fields. Soft skills are the tools that we use to apply our knowledge, skills, abilities, and experiences. Soft skills have a huge impact on how effectively an employee performs their assigned tasks and duties Soft skills include things like judgment, initiative, interpersonal skills, and flexibility. They include an ability to effectively communicate verbally and in writing. The soft skills are how we use and apply our knowledge, skill, and abilities. In 2014, Career Builder published a study of over 2,000 HR professionals. 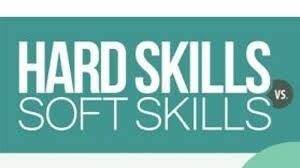 They found that 77% of the people believed that soft skills are just as important as hard skills. In fact, 16% thought that the soft skills are more important. 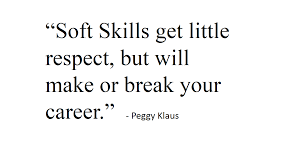 In many instances, I agree that the soft skills can be at least as important as hard skills. Here’s an example. Let’s say you have two surgeons who have similar years of experience and graduated from equally ranked medical schools and post-graduate training programs. Dr. Ace is known for her ability to take the initiative and remain flexible enough to take the added steps that prevent complications. 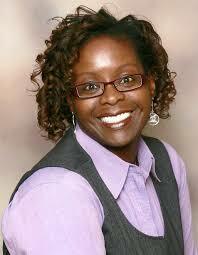 Additionally, she uses her extraordinary communication skills and empathy to put her patients at ease. Dr. Meh has the equivalent technical skills and knowledge but his surgical outcomes aren’t as good … nor is he as well-liked. Most people who have a choice would choose Dr. Ace, but it may not be that easy to differentiate between the two surgeons in a standard interview. You need to hire a real estate agent. You’ve narrowed it down to two people. Both have been in the field for about 10 years and possess a valid real estate license. Their hard skills are about the same. However, if one agent was more conscientious, proactive, tactful and could remain calm during times of stress/challenge would you want to hire that one? Most people would — and that’s for one transaction that should last for several weeks. 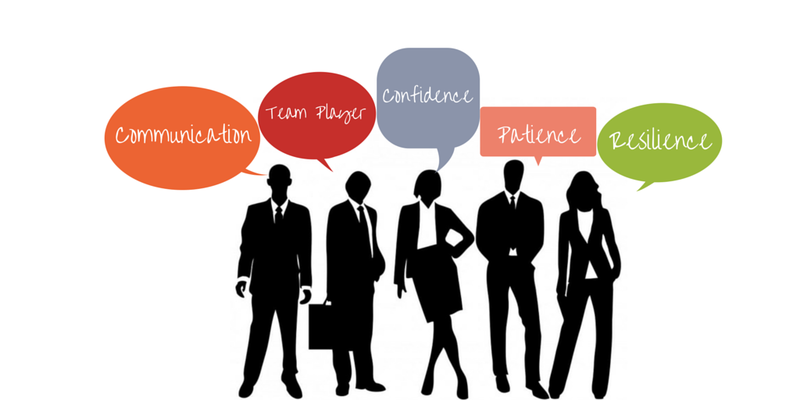 Imagine the impact that these soft skills could have on the purchase or sale of your home. Then, imagine the impact that these soft skills could have on a real estate company who employs this agent instead of the one whose soft skills are much less developed. First, don’t get me wrong — hard skills are essential. I want fully trained and competent people to provide my dental, construction and financial services. There’s just no substitute for knowing your stuff. With that said, I also believe that the soft skills are essential. In fact, I’d argue that when the hard skills meet or exceed an appropriate threshold, the deciding factor should be the soft skills. In practice, once a person is in a work role, the odds are that their experience, knowledge and technical skills (that is their hard skills) will continue to increase over time. Those are the things that someone can continue to learn on the job. In contrast, soft skills are the things that great job candidates should bring with them into the job because they are much harder to develop (see a previous blog post on this topic). Have you ever tried to teach someone how to have better judgment? How about initiative and follow through — have you successfully taught these soft skills? Maybe you’ve had better luck teaching someone how to be a friendly, cooperative, team member whose communication skills improve month after month? No, that’s just not how it works. These soft skills are things that people must bring into the job since they’re too darn hard to develop. Sadly, in addition to these soft skills being hard to teach, they can also be very difficult to assess reliably during a hiring process. Although I offer HR services, my foundation is in Industrial / Organizational Psychology. Since 1999 I have developed expertise in the assessment of relevant work-related behaviours at hiring and also in the context of promotions and succession planning. This skill is exceptionally valuable when employers need to make good hiring, promotion, and succession-related decisions. 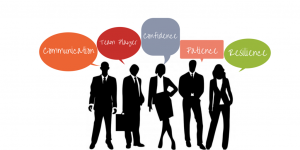 Ensure that your future employee(s) bring the right soft skills into your organization. Contact me by email, phone, or via direct message on Twitter, Facebook, or LinkedIn. I can review and, when required modify your hiring process to ensure that you evaluate soft skills effectively and accurately.